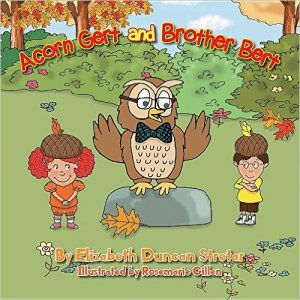 Wow – I’m so grateful for this wonderful review of my new book, Acorn Gert and Brother Bert. Thank you so much Irene S. Roth! This is a wonderful picture book for kids about how they can be great, regardless of how small they are in the beginning, by focusing on what is most important and by planting strong inner seeds. Then they can all grow into the person they were meant to be! This is a book that will take the young reader on a reflective journey on how they can grow to be all that they were meant to be. We all start off small and miniscule in the grand scope of things. And we may all remain that way unless we all put our own marks on the world around us by becoming who we were truly meant to be. What a great message for kids!